During this COCA Call, clinicians learned about synthetic cannabinoids, their clinical effects, and the role clinicians can play in the public health response. 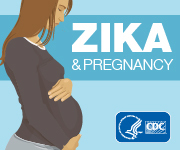 updated: Clinical Consultation Service for Health-Care Providers Caring for Pregnant Women with Possible Zika Virus Infection. An FDA safety review has found that type 2 diabetes medicines containing saxagliptin and alogliptin may increase the risk of heart failure, particularly in patients who already have heart or kidney disease. As a result, FDA is adding new warnings to the drug labels about this safety issue. FDA is alerting health-care professionals and patients not to use unexpired drug products that are intended to be sterile that were produced by Medaus Pharmacy in Birmingham, Alabama, due to lack of sterility assurance. Medaus’ products were distributed nationwide and internationally. The presence of insulin pumps, cardiac implantable electronic devices, and neurostimulators should NOT preclude the performance of an appropriate, medically indicated CT scan. The probability of an adverse event being caused by exposing these devices to CT irradiation is extremely low, and it is greatly outweighed by the clinical benefit of a medically indicated CT examination.